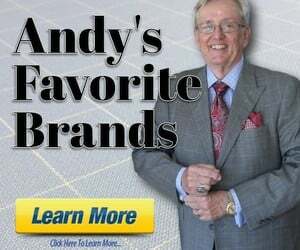 Discussion in 'Andy's Fashion Forum' started by At Law, Apr 8, 2019. Is anyone else tired of men's golf attire over the last 10 years or so? Every middle manager wears a dorky looking stretch wicking adidas / Nike polo shirt with long stretchy / polyester adidas / nike shorts. This is typically coupled with a pair of $99.00 golf shoes that look like shoes Corky would have worn on the old tv show, "Life Goes on." I know this is attire NOT COMMON at upscale country clubs, however, I am just tired of seeing it everywhere around suburbia. It is just the opposite of what Arnold Palmer and every other traditional golfer would wear and does wear at private clubs. Attire shall not be offensive to other members or their guests. Members are responsible for insuring that their guests meet the dress code guidelines. Our employees have been instructed to enforce the dress code. Club management reserves the right to refuse privileges to anyone they determine is in violation of the dress code. A. They must have a collar or designer golf neckline. 2. Shirts may be untucked if the item of clothing is designed for outside wear. A. No deeply scooped necklines. B. Midriff and back must be covered at all times. C. Sleeveless tops must be collared and have a minimum shoulder width of 3 inches. 2. Shorts or culottes must fall no higher than 4 inches above the bend in the back of the knee, or have a side seam of 17 inches. All of the following types of clothing are prohibited on the golf course: denim of any type, design or color, tennis or running shorts, bathing suits, tank tops, and halter tops. Persons in bare, stocking feet, or flip flops are not permitted. Setting aside the Corky comment, I’m not a fan of the look. Most of the time it’s the logo of a club the wearer never played. Most of the time it’s the logo of a club the wearer never played. Sorry, but I don’t believe this. Not saying it’s never the case, but most of the time? How would you even determine it? How did they come to own the shirts? ....golf shoes that look like shoes Corky would have worn on the old tv show, "Life Goes on." I think the ultimate problem is that some people don’t care about their appearance in general and this translates to the golf course. It’s similar to wearing an ill-fitting suit. But ultimately it’s about enjoying the game. And if those who don’t care how they look enjoy their round, than that’s ok. Public courses are there for people to enjoy the game of golf. Being comfortable can increase enjoyment and can help lower scores. Just hyperbole. Still not a good look. By the way, many clubs sell their merchandise online to anyone. I agree with denace _mennis. Admittedly I am not a golfer, almost never have been, but I have to question the seemingly excess importance placed on sartorial style by participants in the sport. I just don't understand the level of distress expressed in some of the posts above. However, I have participated in other organized sports such as wrestling, football, track and field, etc., which did have prescribed equipment, uniforms and accessories for participation in the sport. Anything needed to participate efficiently and safely in the sport, should be worn. Beyond that, comfort should rule. It's called recreation for a reason! I agree with your thoughts. However, golf is as much a sport about socializing and business relationships as it is about the sport itself. Public golf courses serve a purpose for those interested in casually playing the game. And there are very nice public courses as well--which mandate appropriate dress. It is disrespect to the game of golf and the founders of the game of golf to dress like a 12 year old public school kid on the course. Higher end golf courses and certainly private clubs must enforce these codes. This is also why there are dress codes as private schools verses public schools.